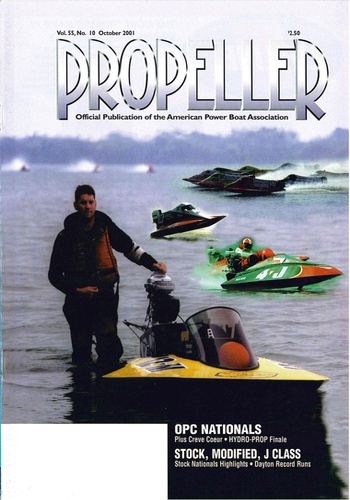 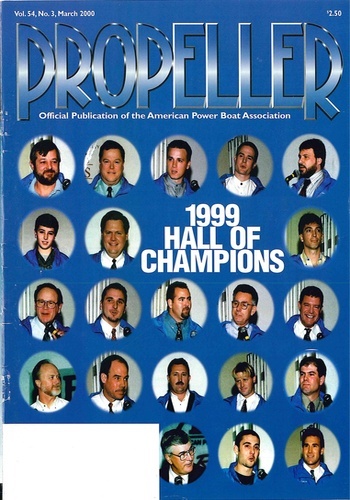 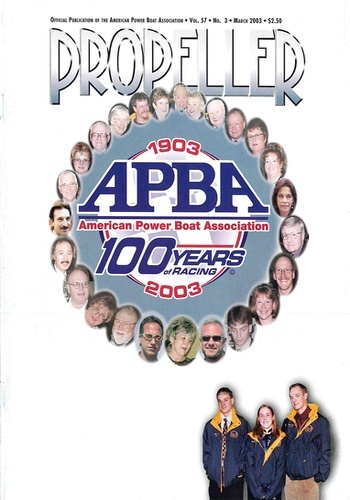 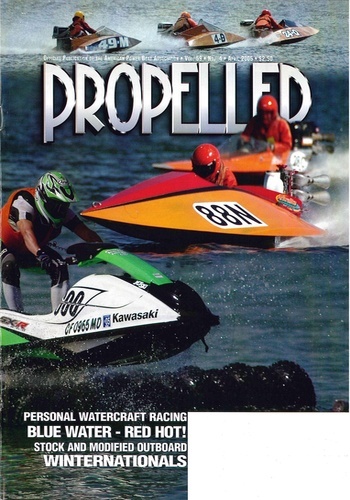 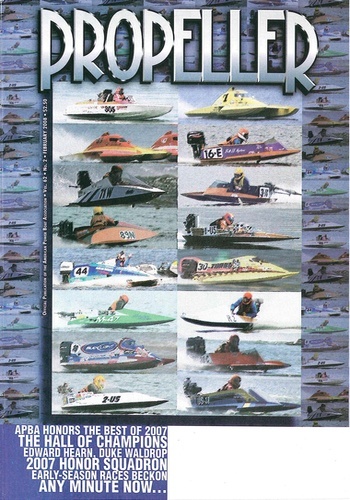 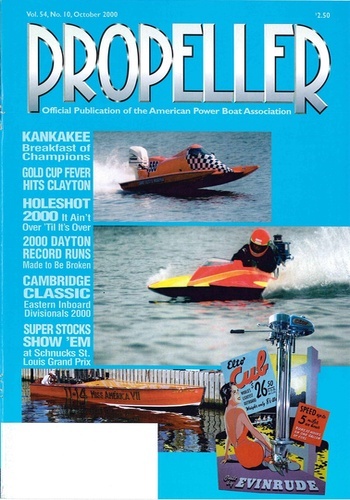 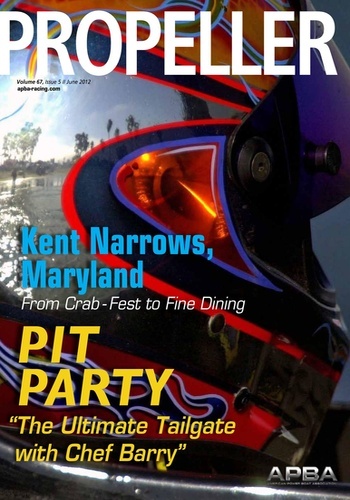 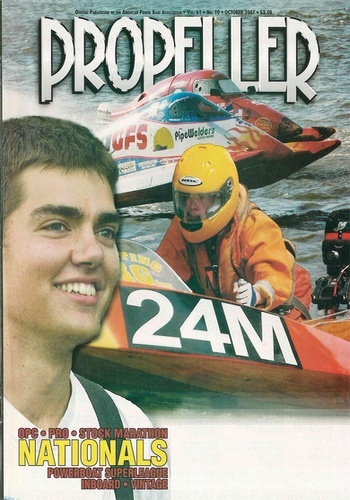 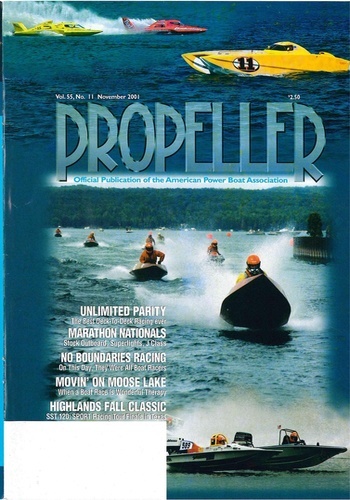 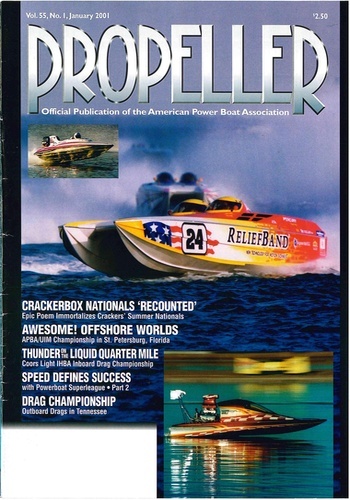 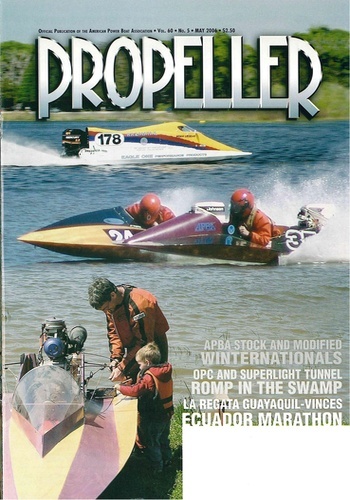 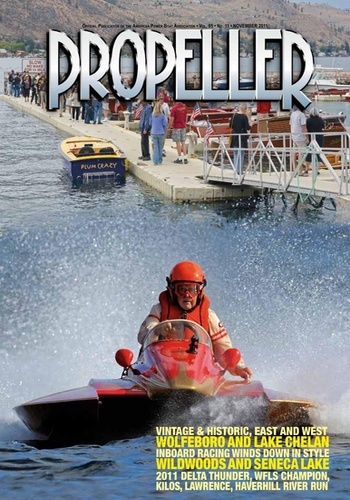 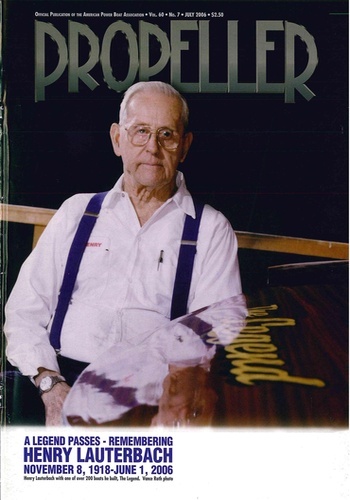 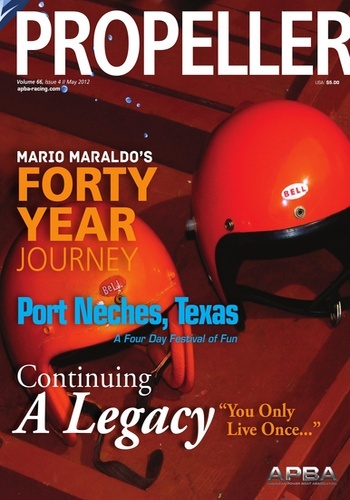 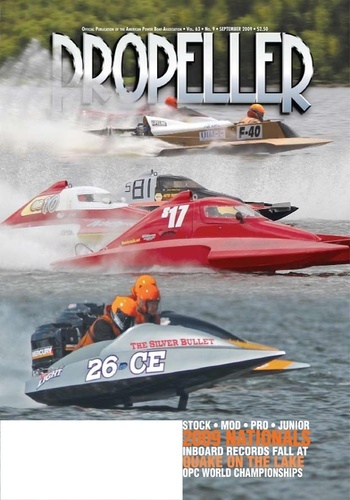 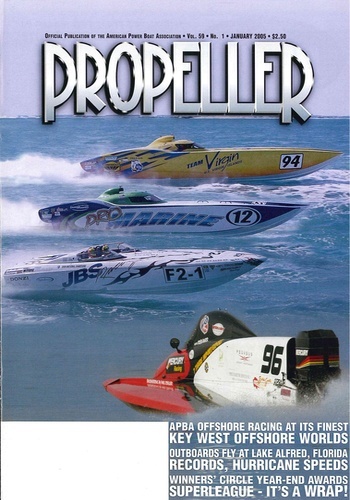 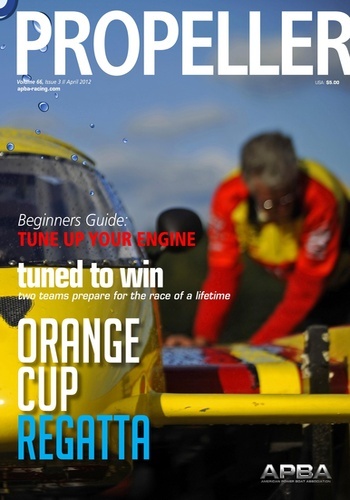 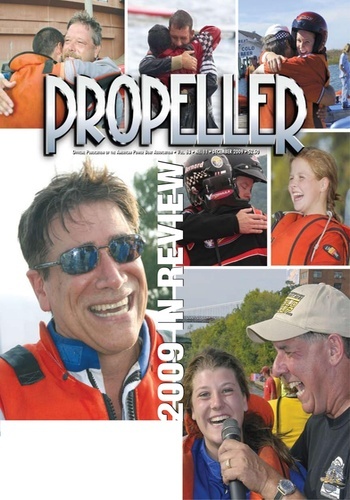 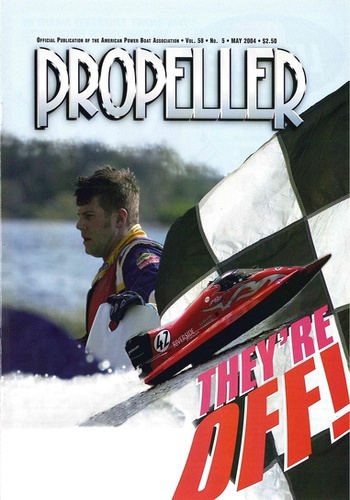 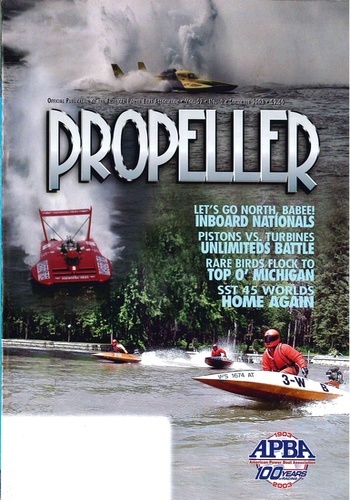 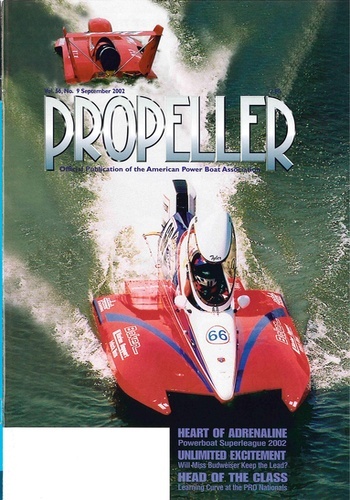 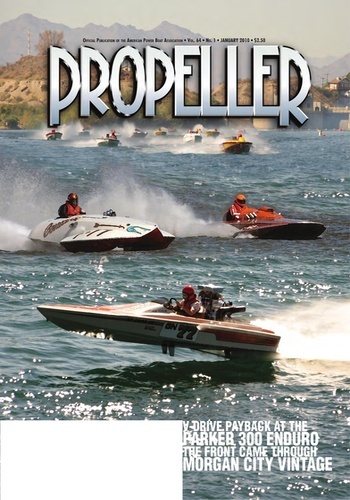 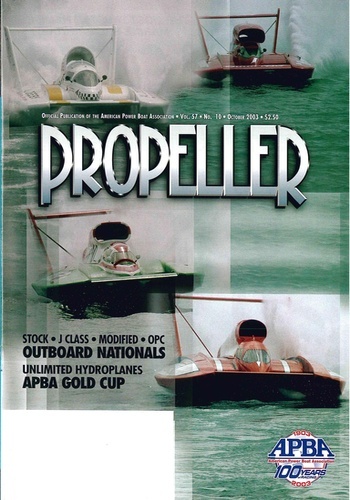 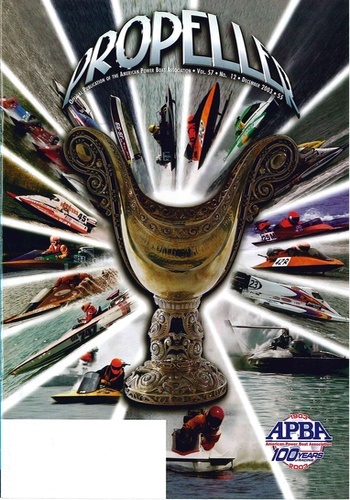 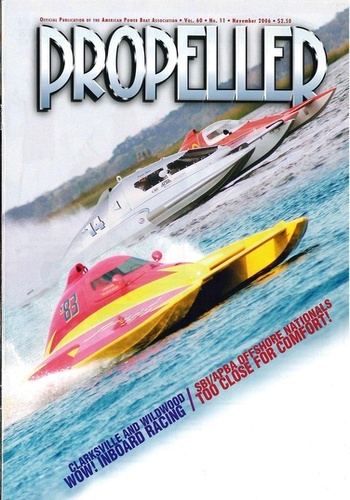 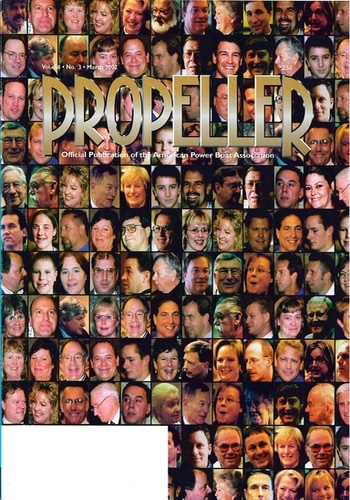 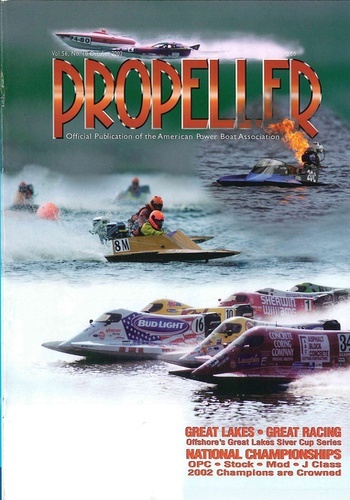 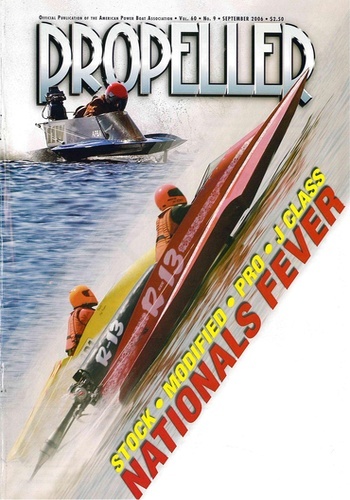 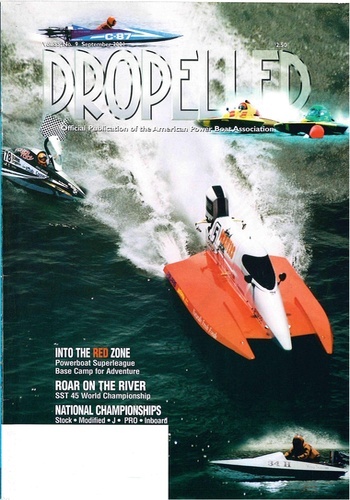 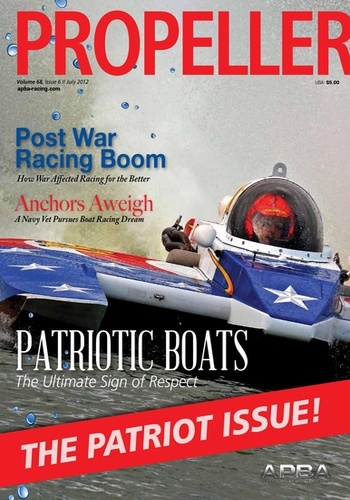 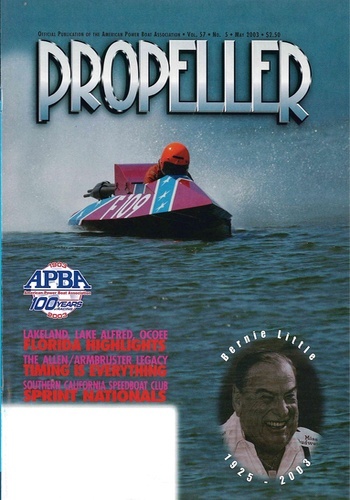 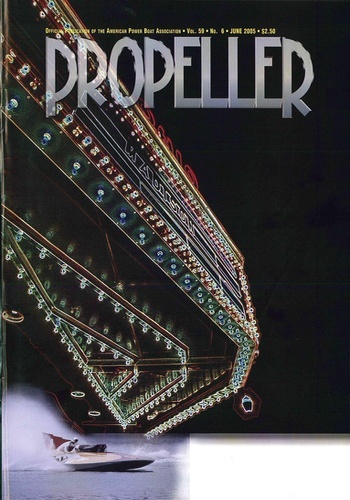 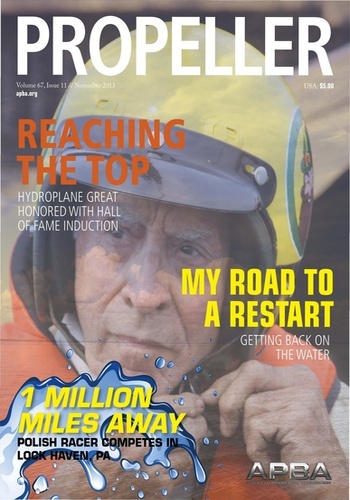 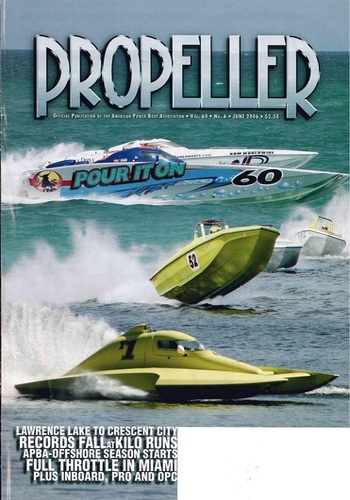 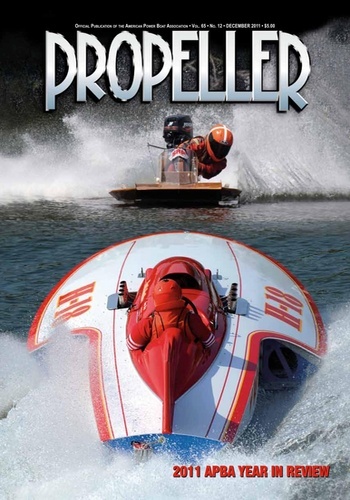 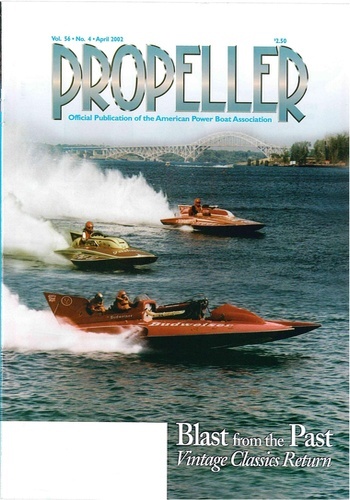 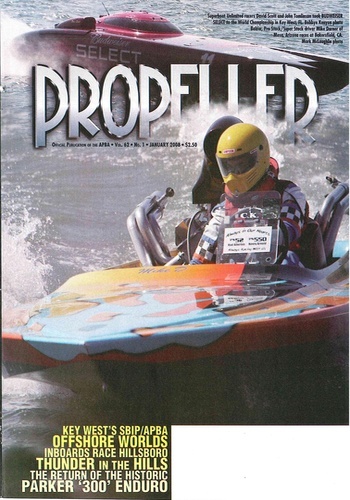 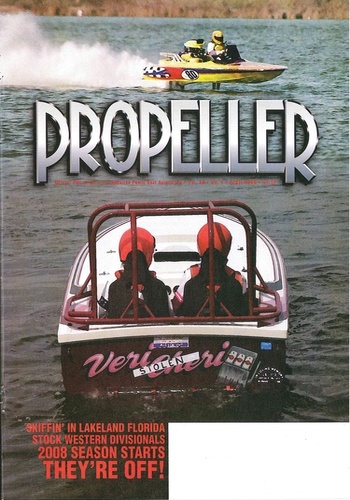 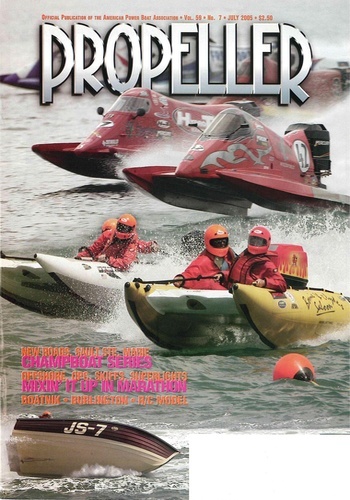 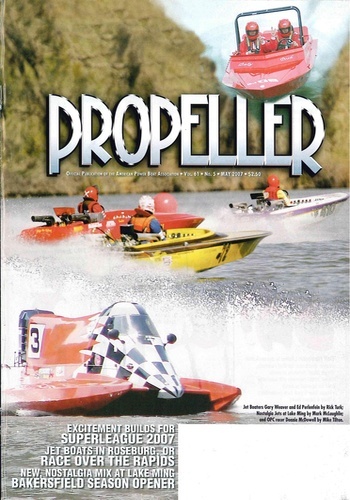 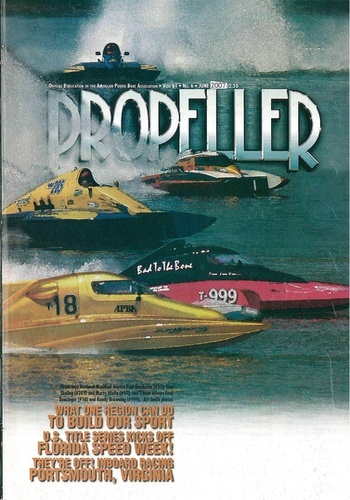 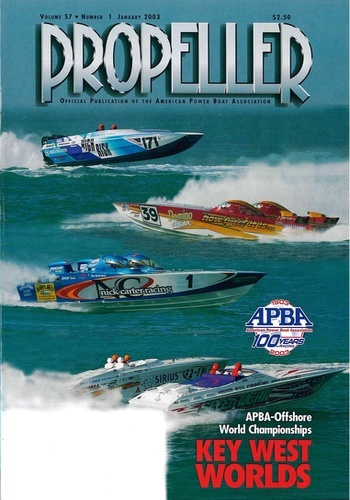 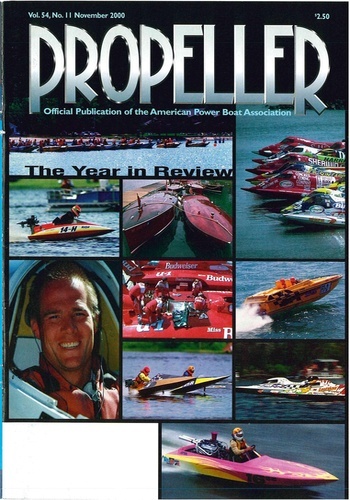 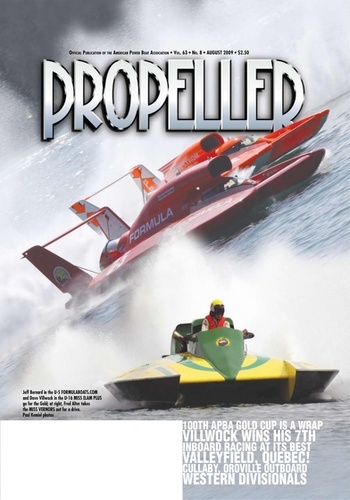 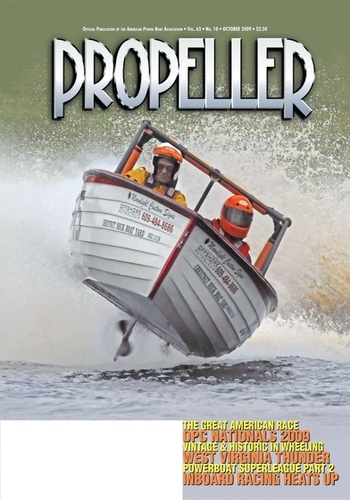 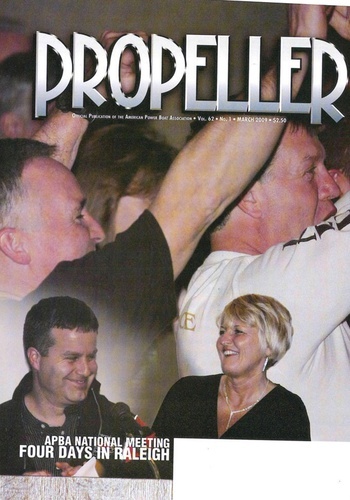 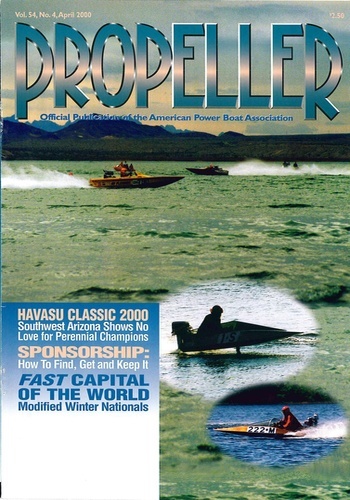 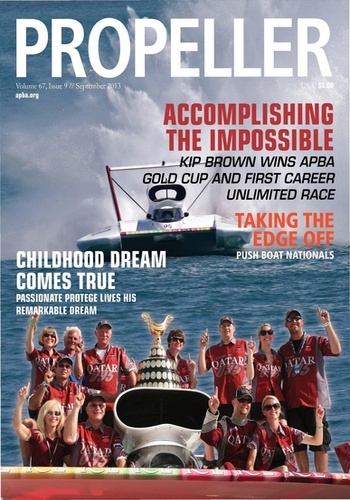 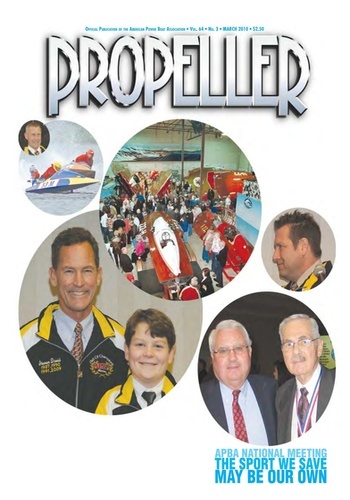 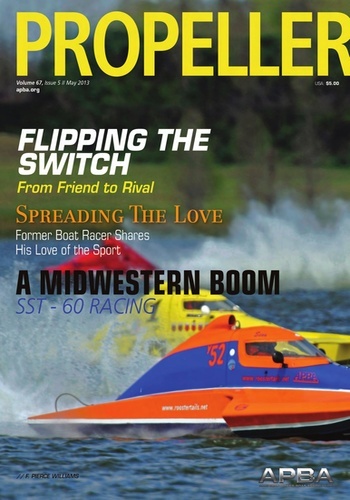 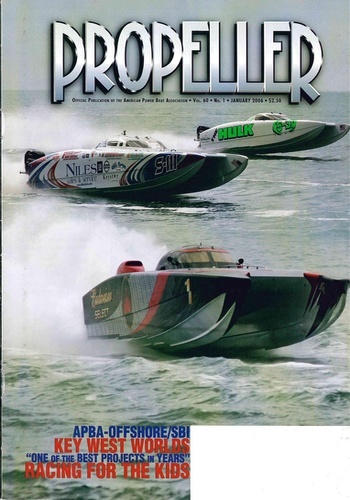 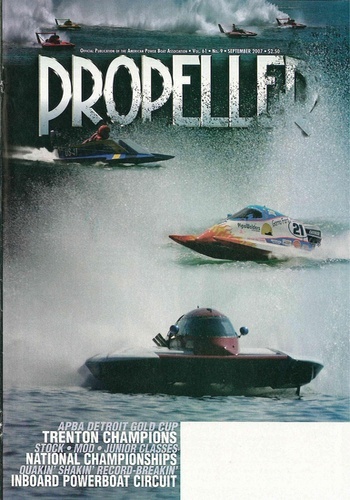 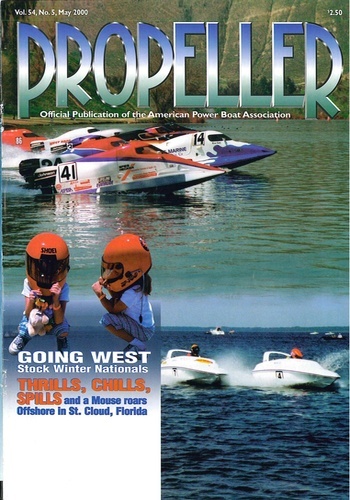 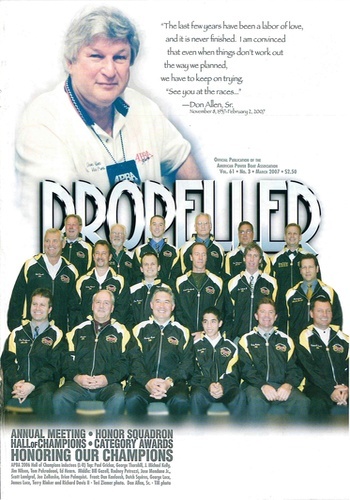 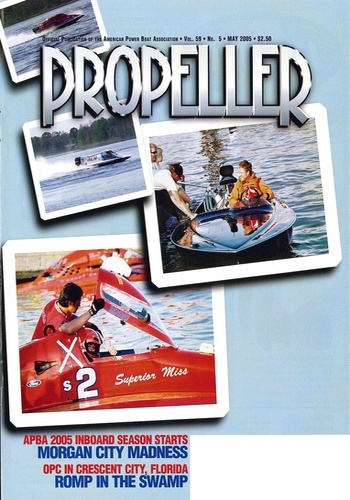 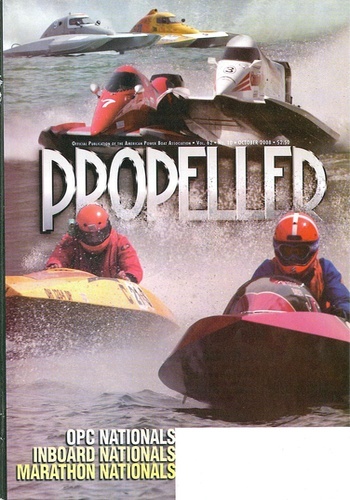 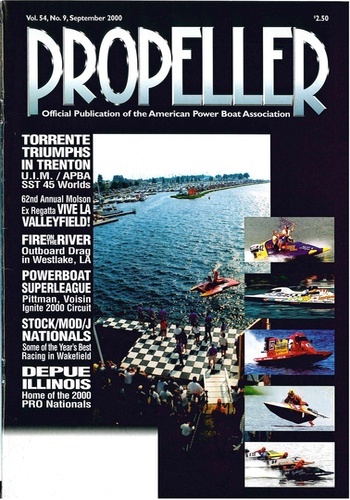 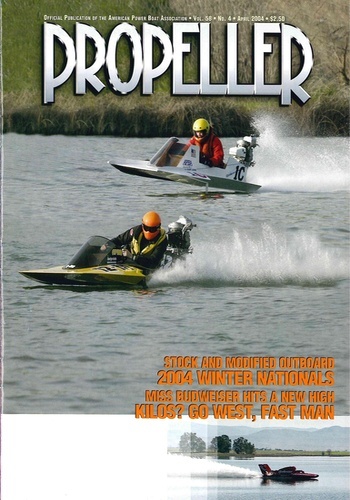 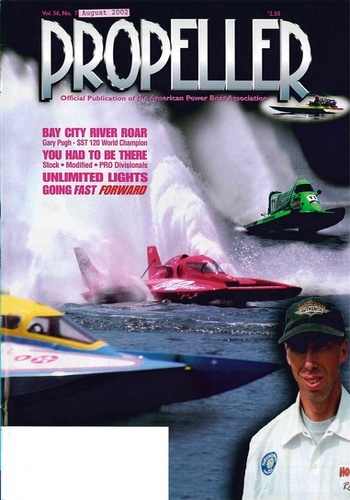 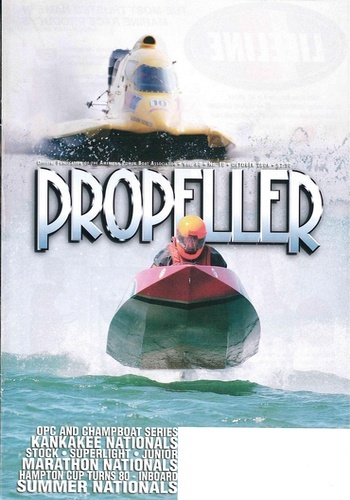 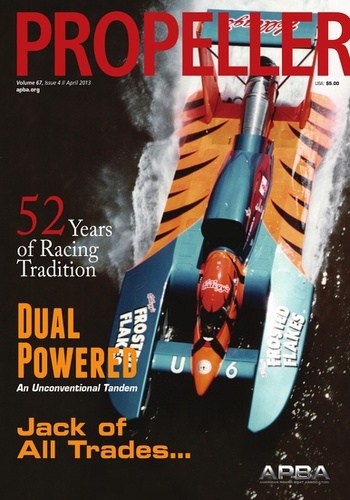 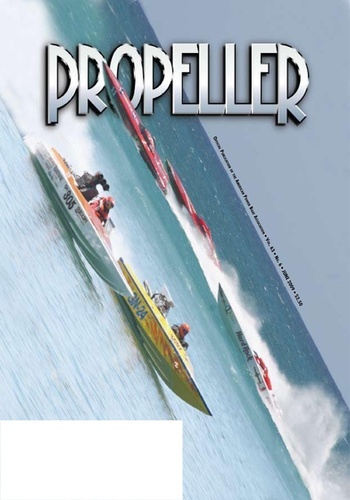 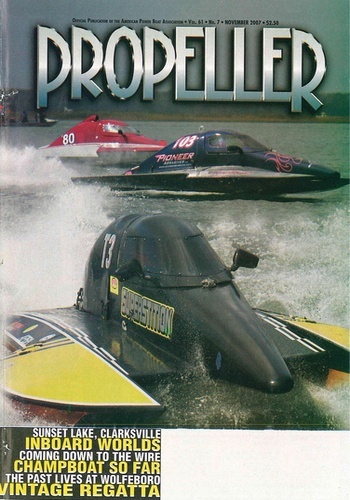 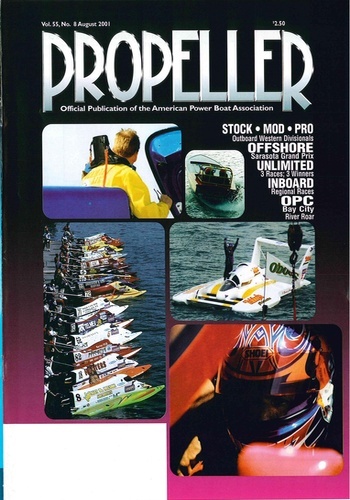 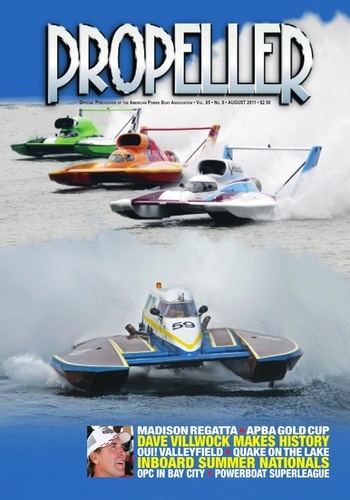 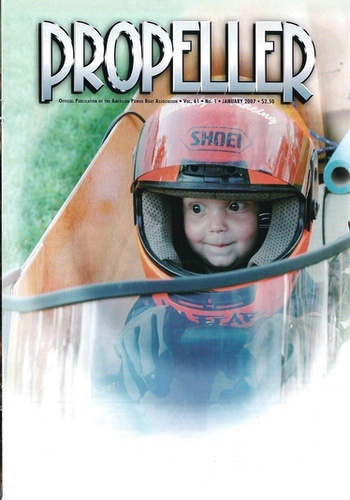 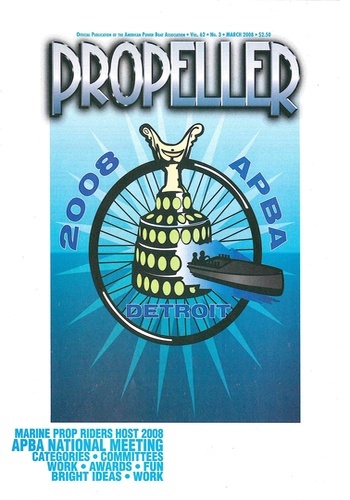 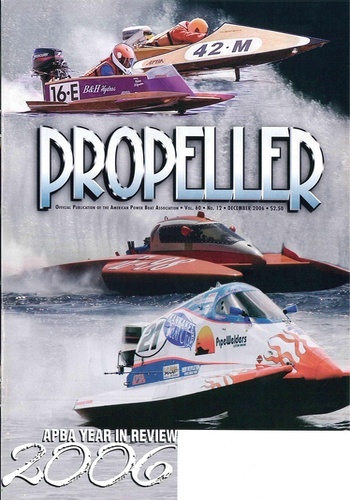 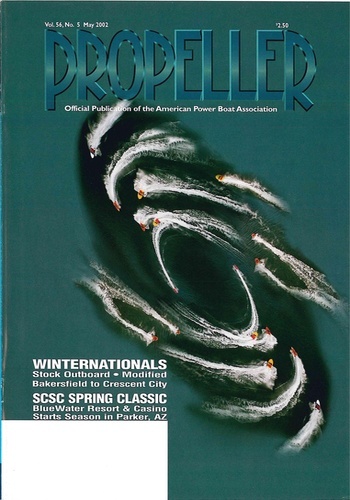 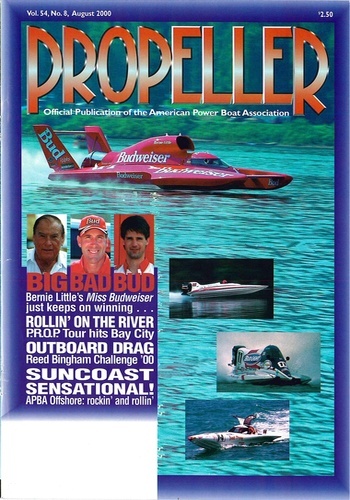 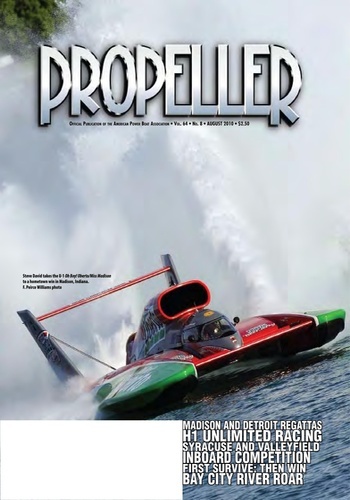 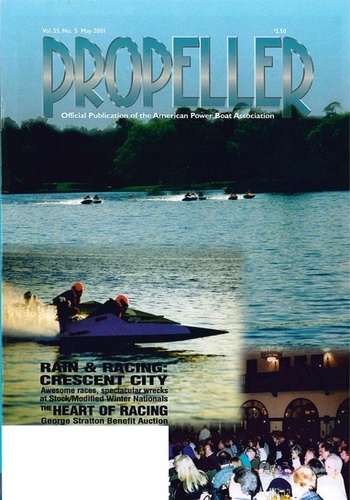 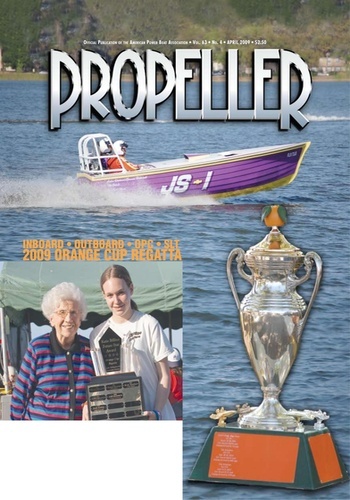 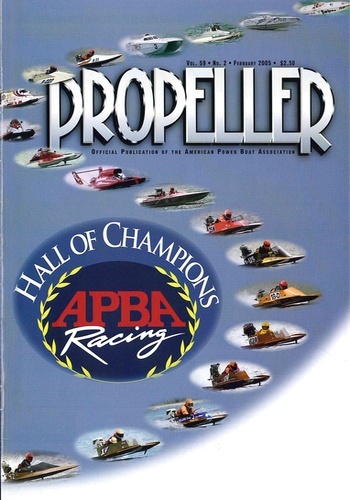 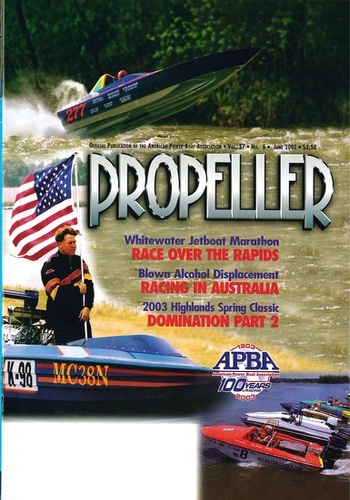 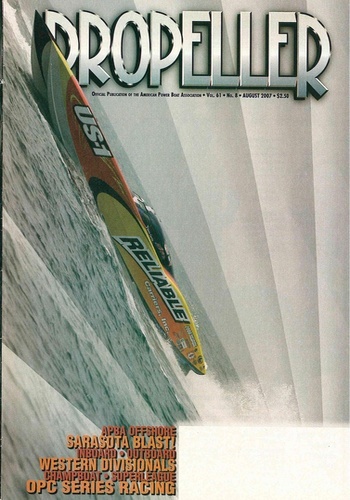 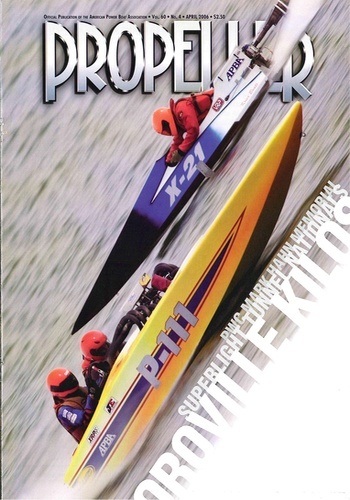 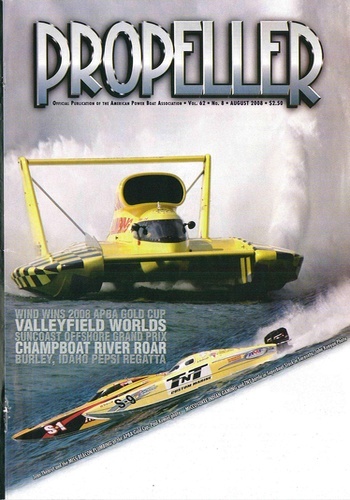 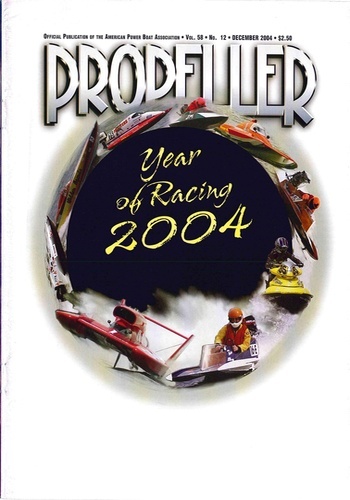 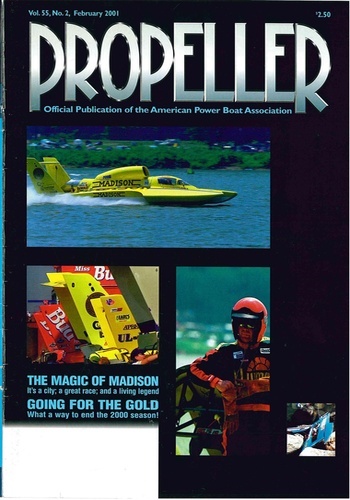 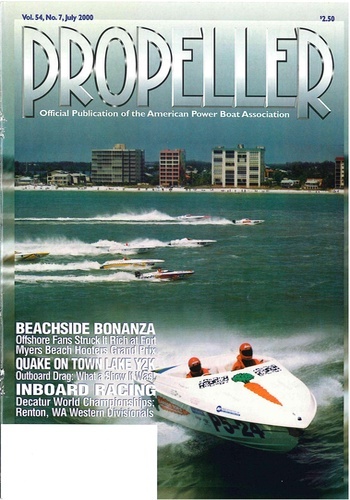 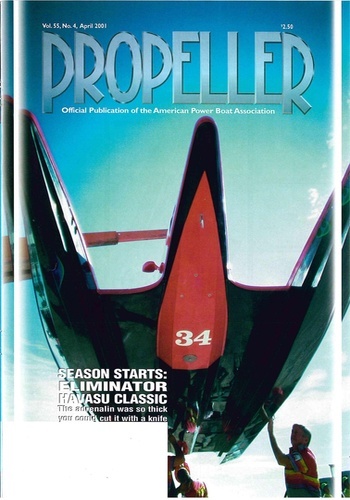 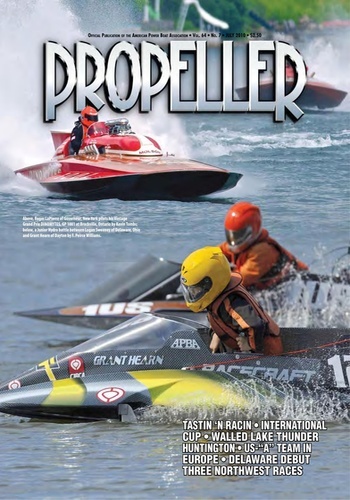 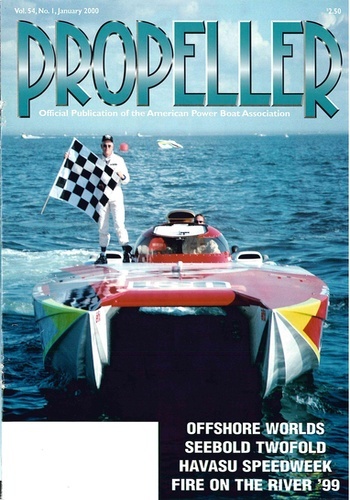 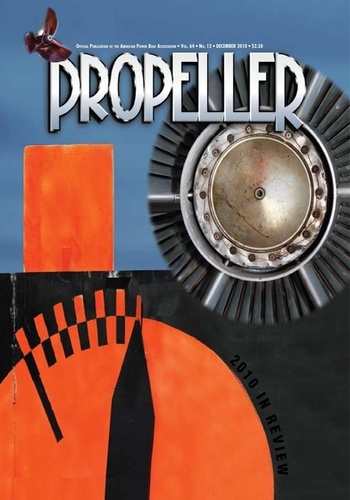 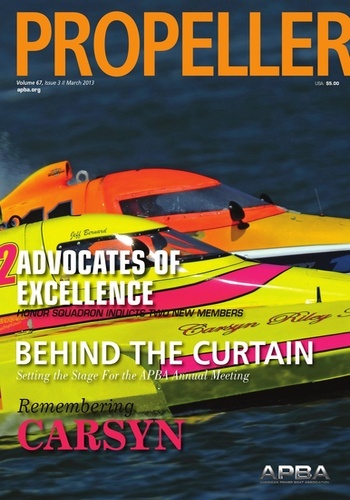 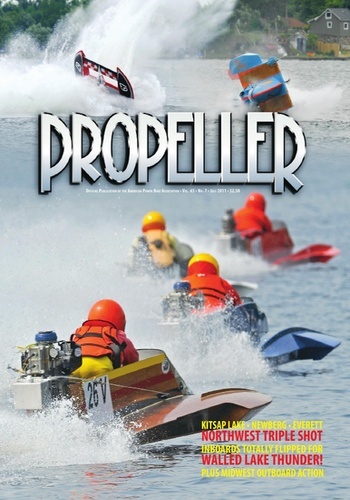 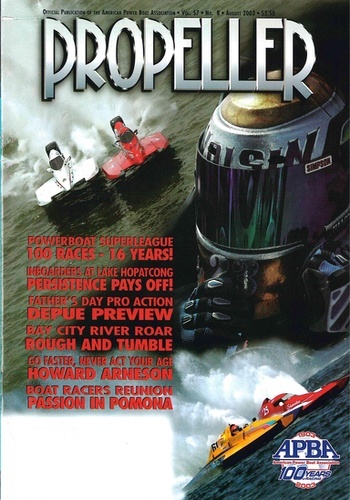 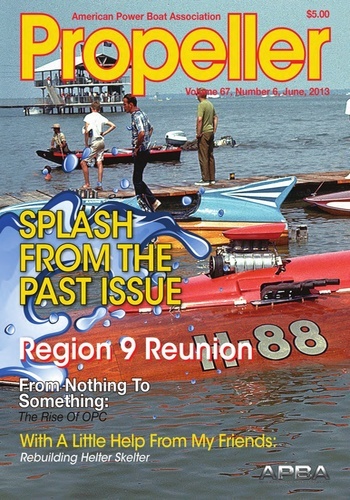 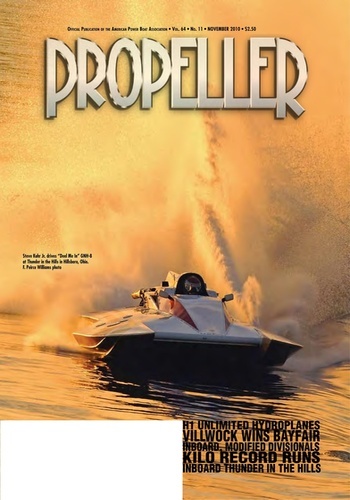 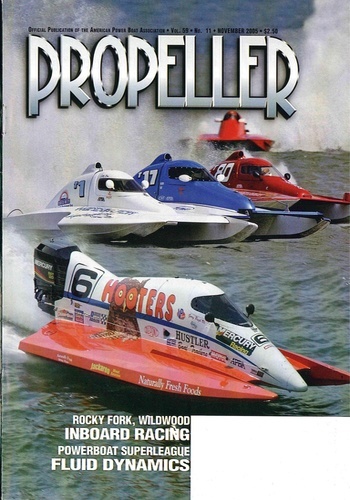 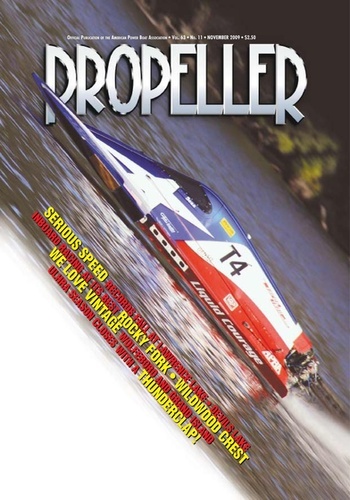 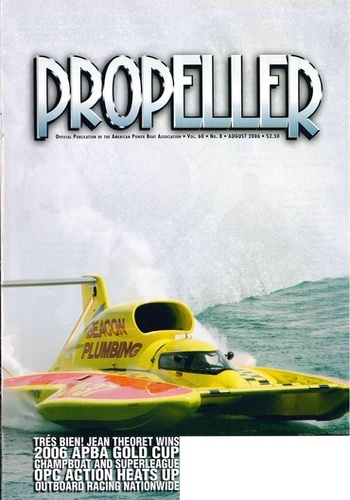 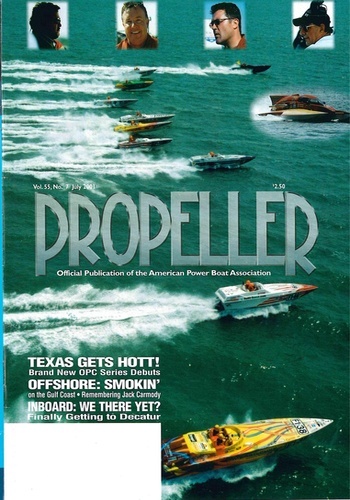 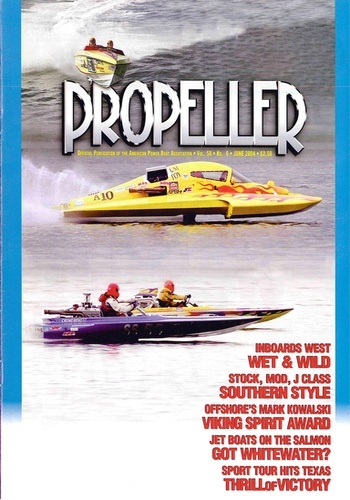 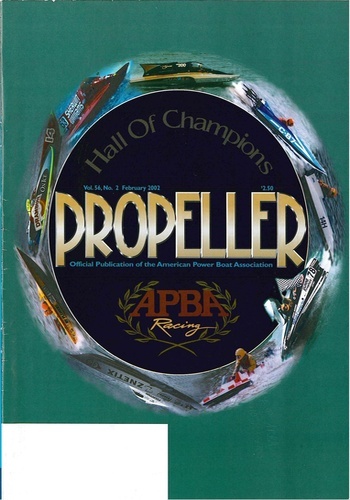 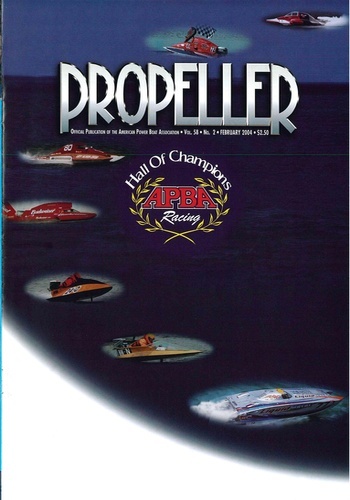 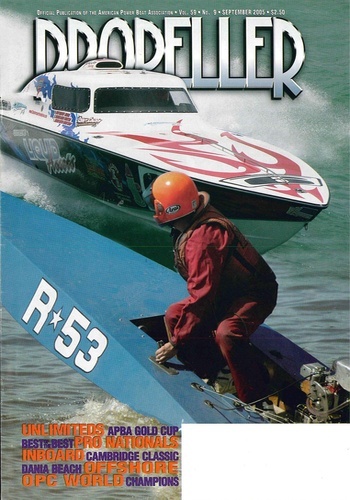 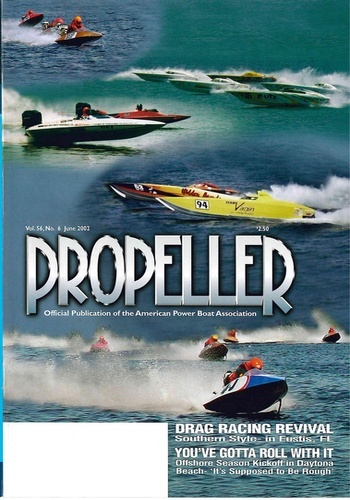 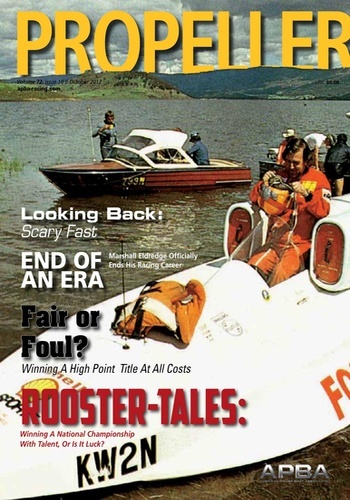 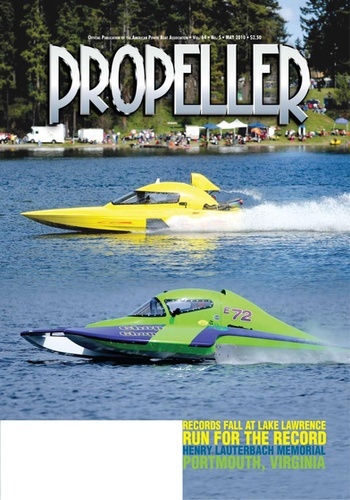 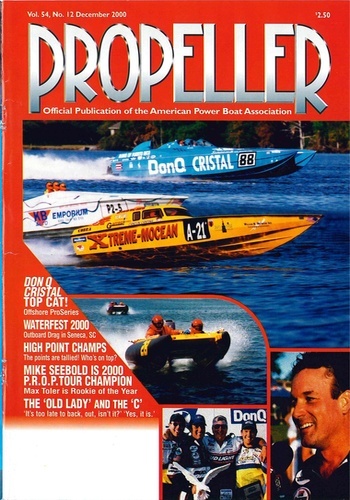 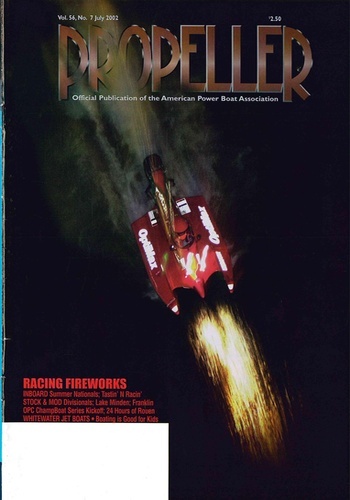 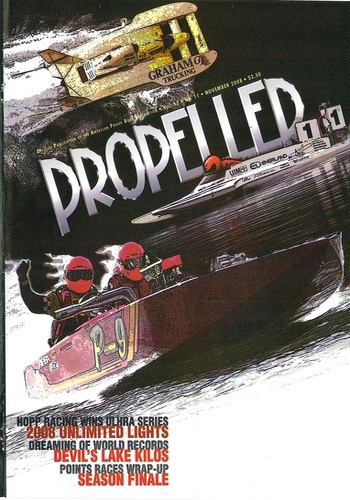 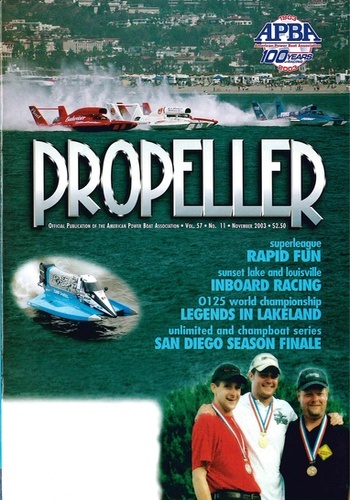 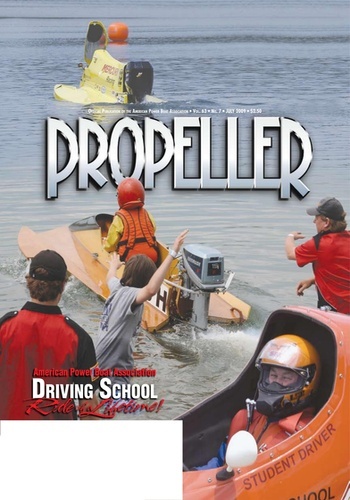 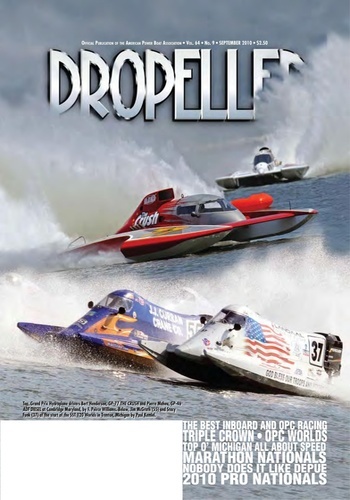 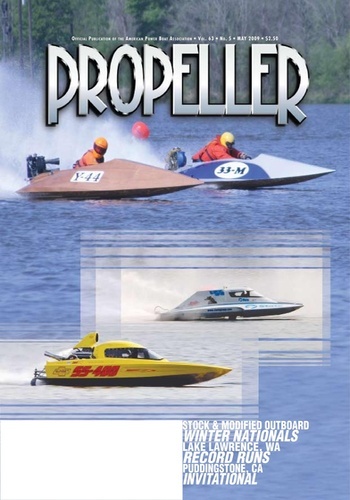 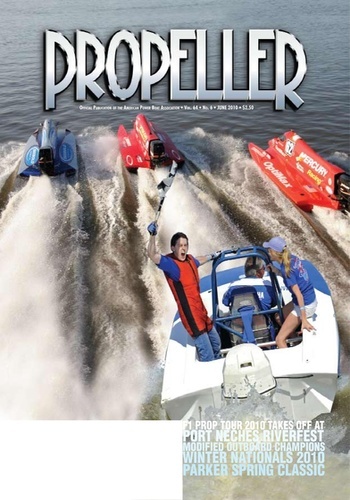 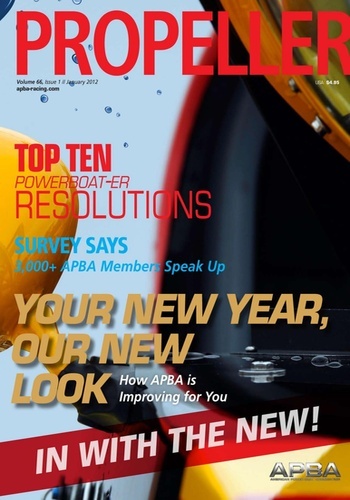 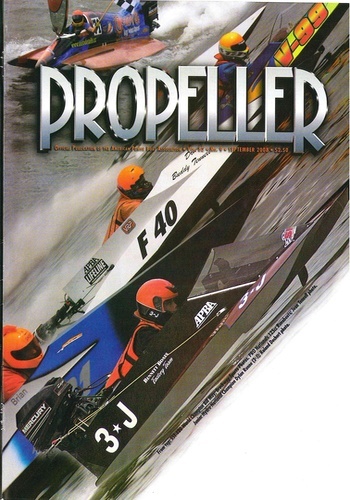 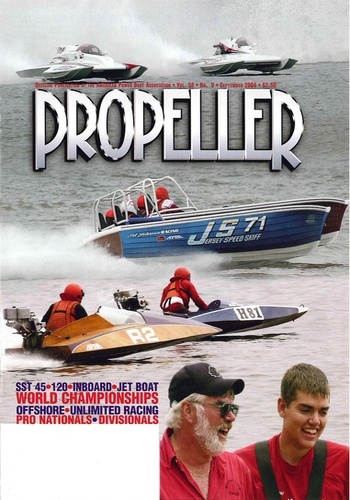 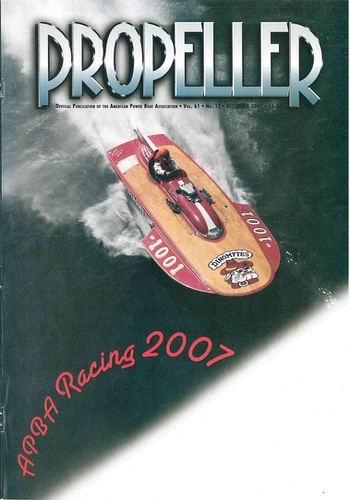 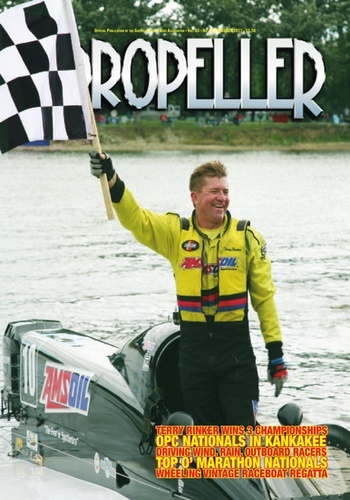 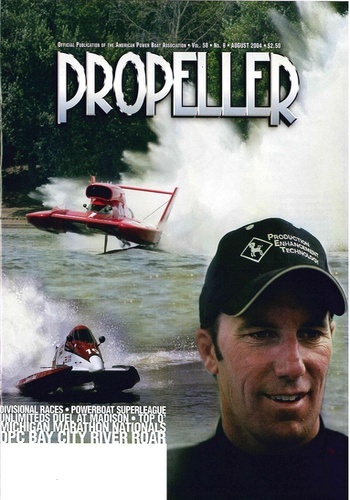 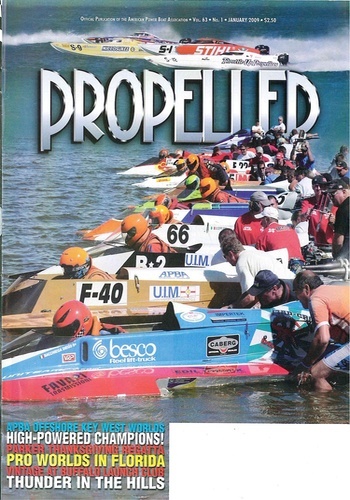 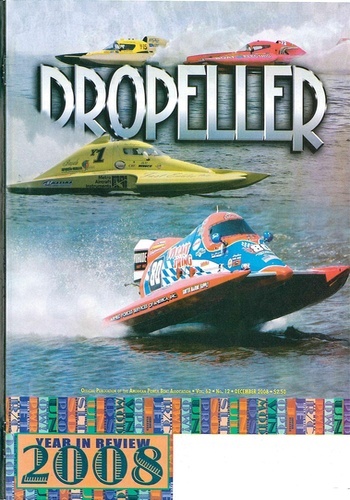 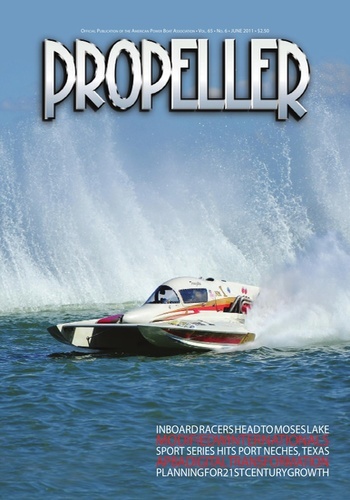 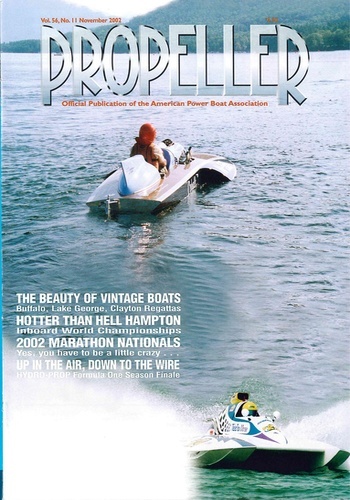 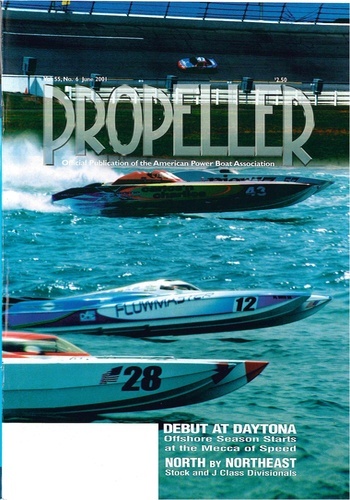 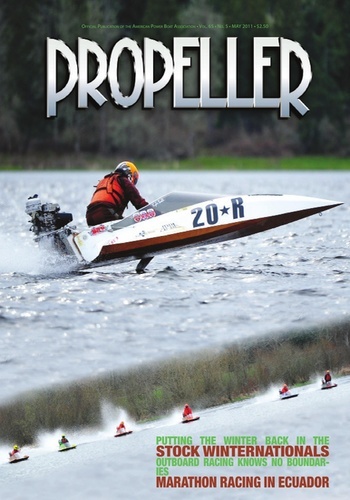 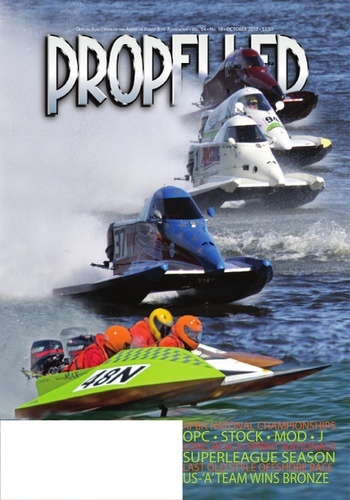 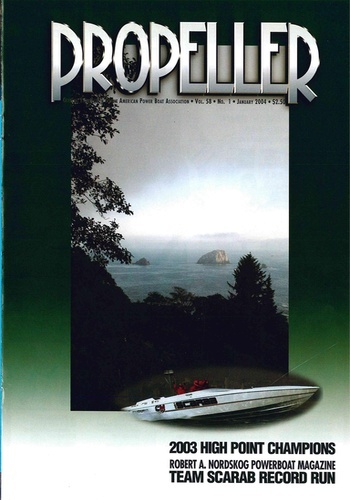 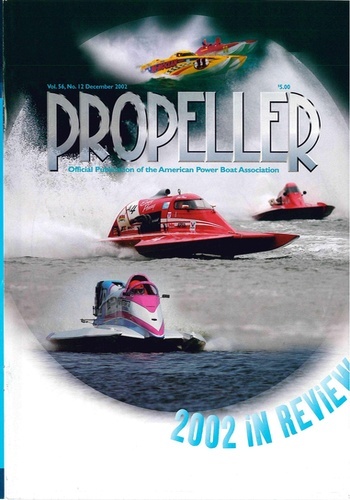 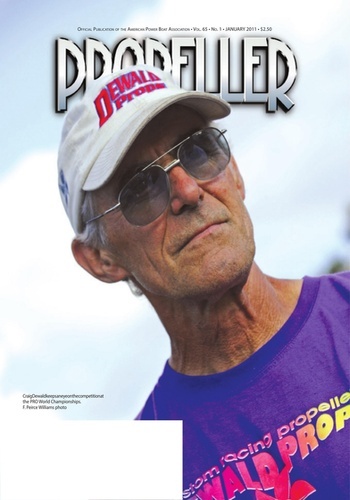 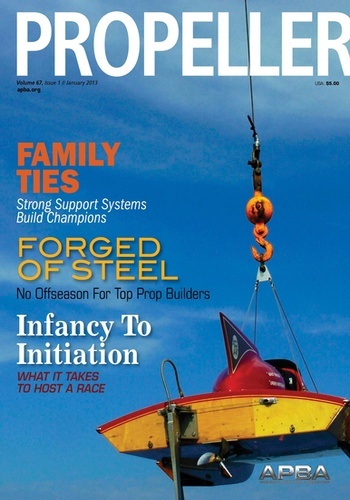 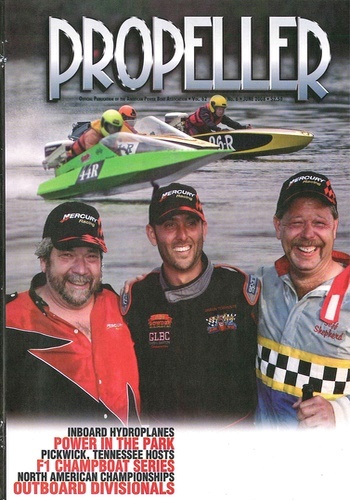 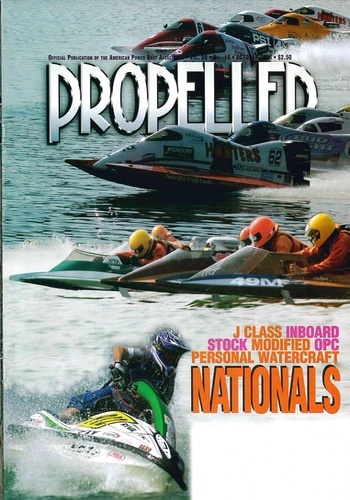 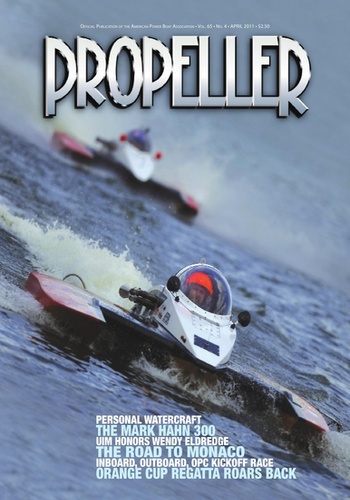 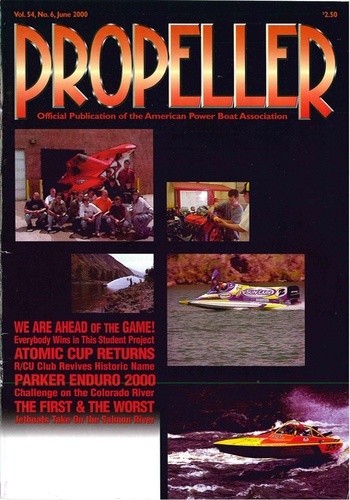 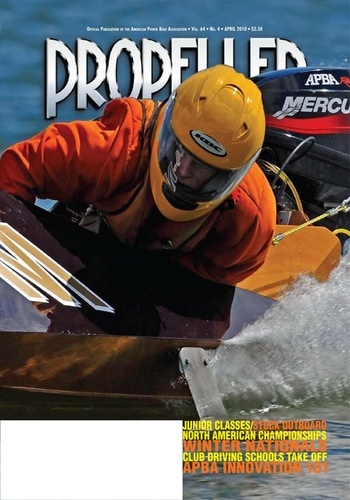 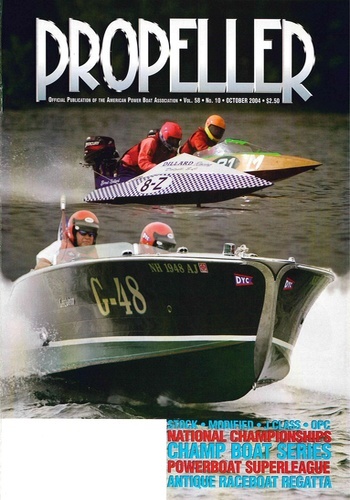 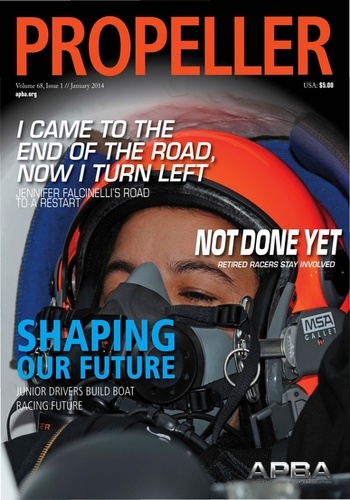 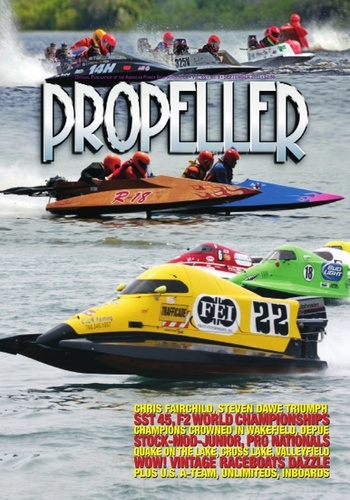 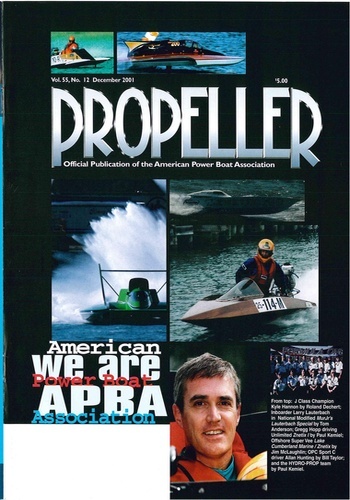 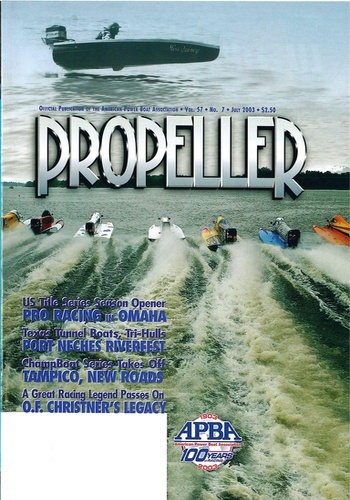 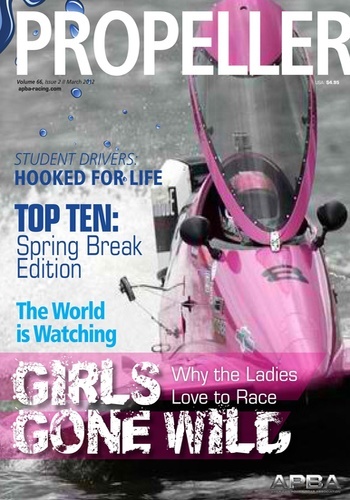 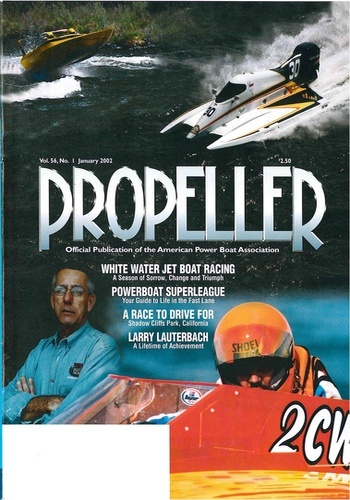 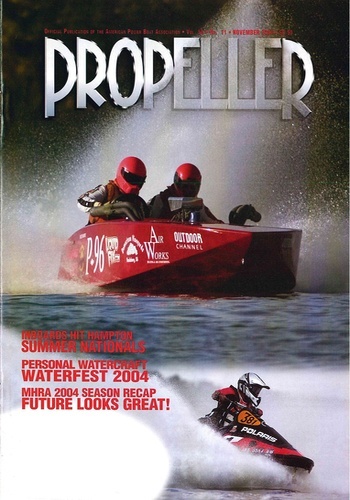 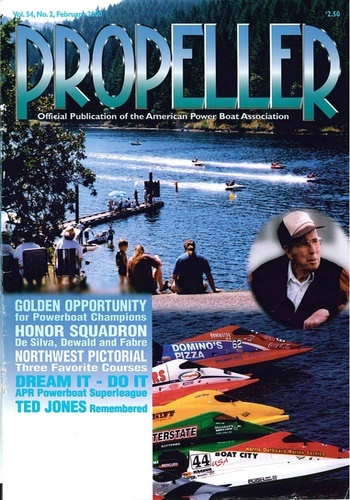 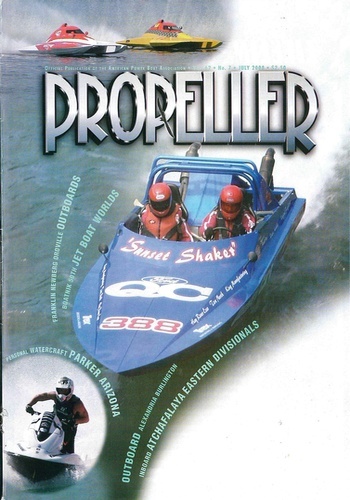 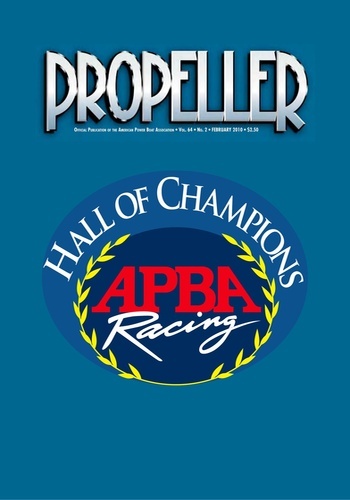 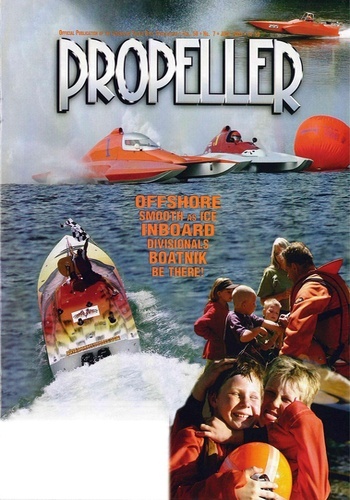 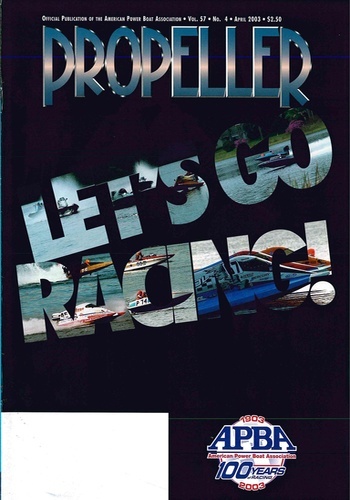 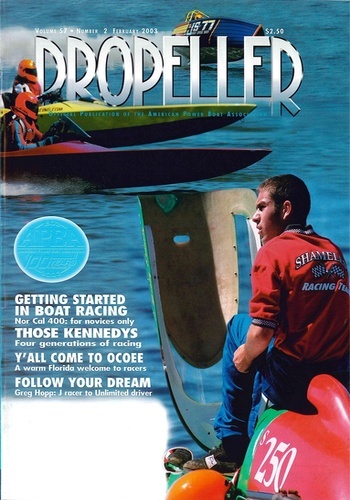 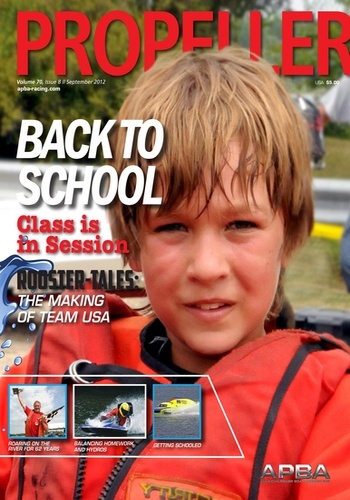 Propeller Magazine is the official publication of the American Power Boat Association, the United States governing body for power boat racing. 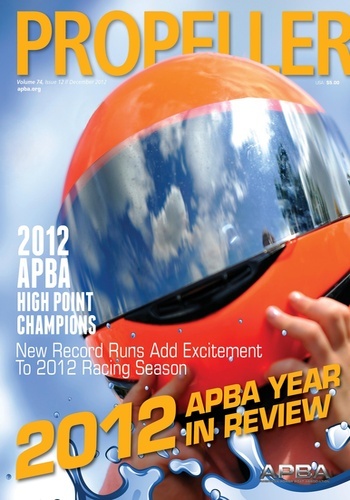 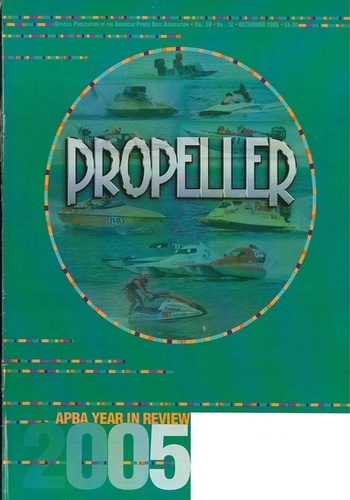 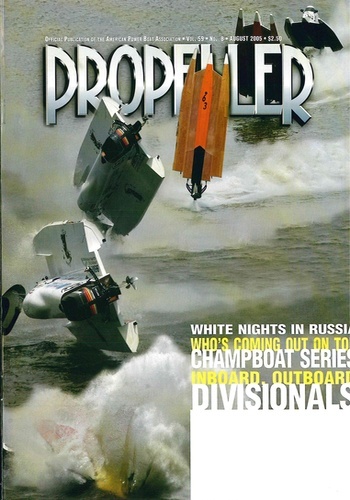 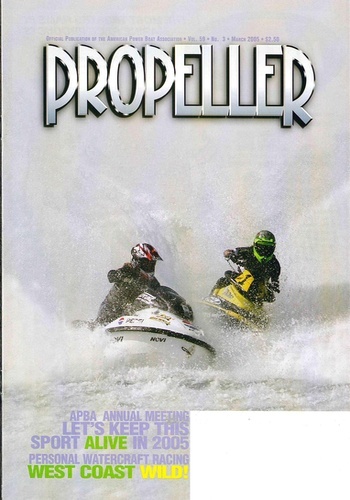 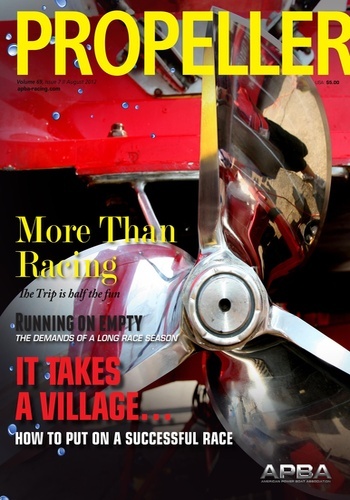 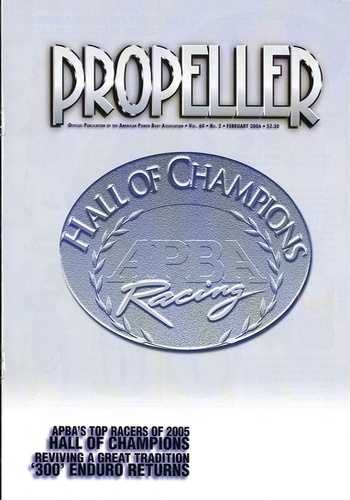 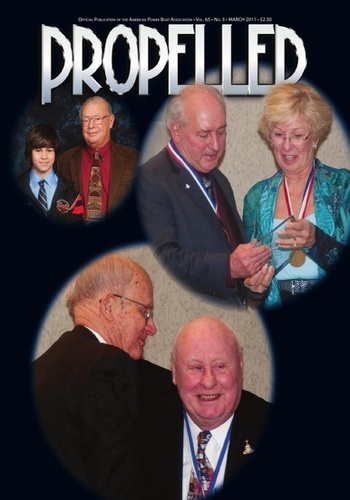 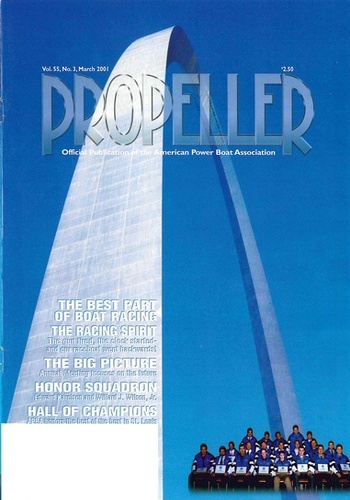 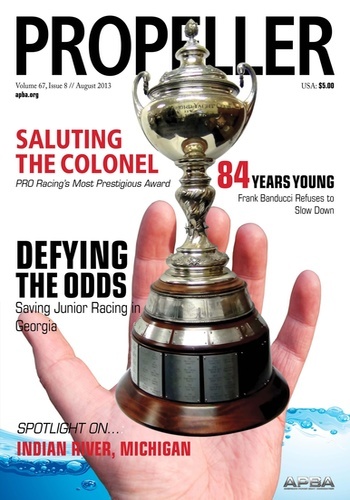 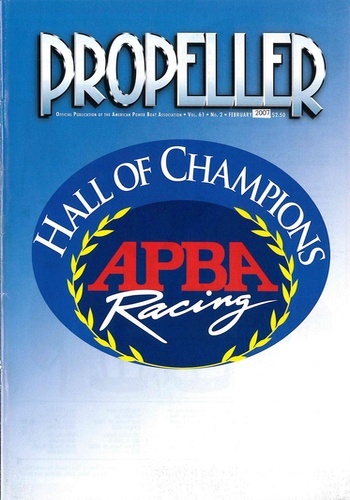 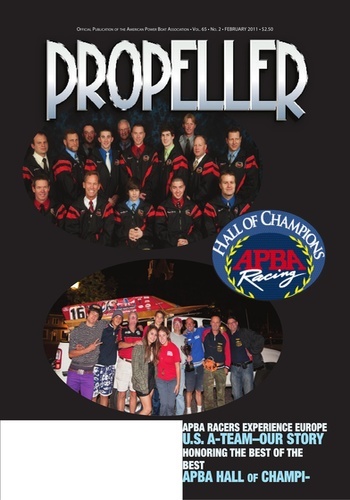 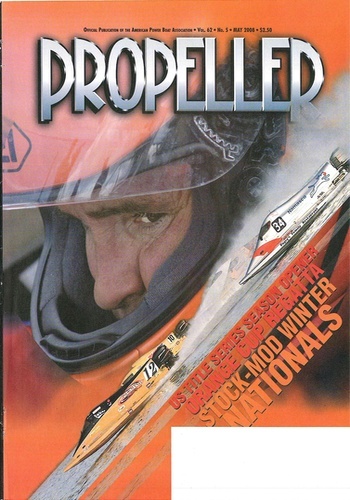 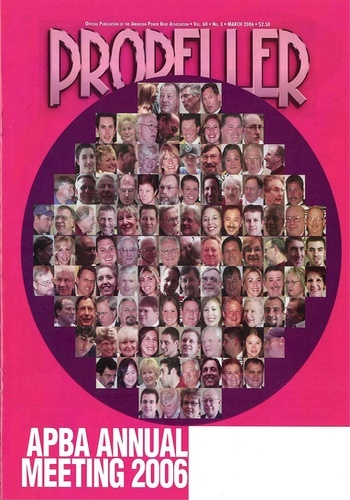 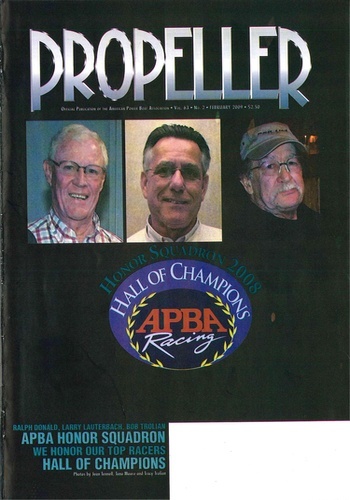 The APBA has been active since 1903 and Propeller Magazine has been published every month since 1935. 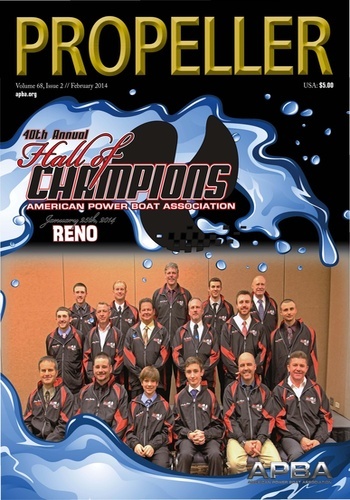 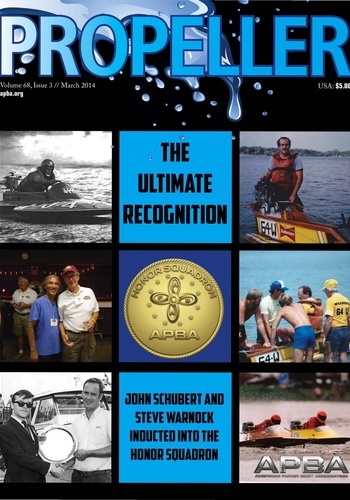 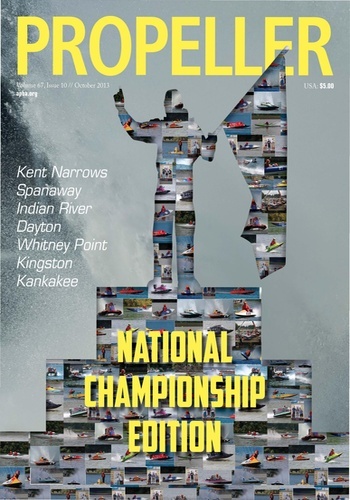 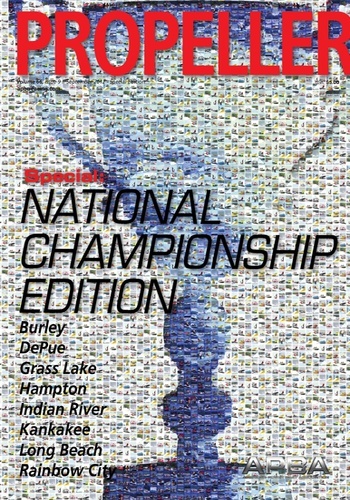 The American Power Boat Association sanctions and insures races throughout the U.S. 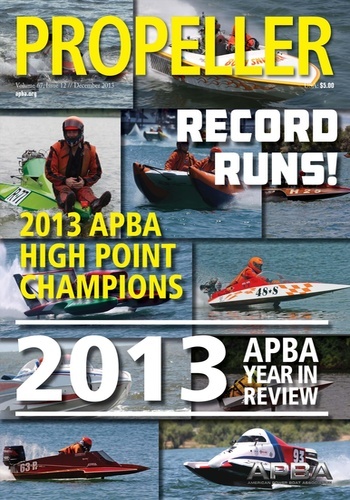 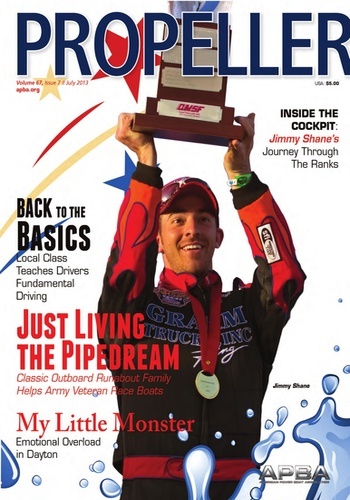 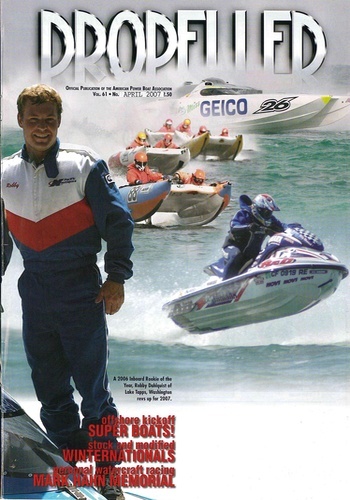 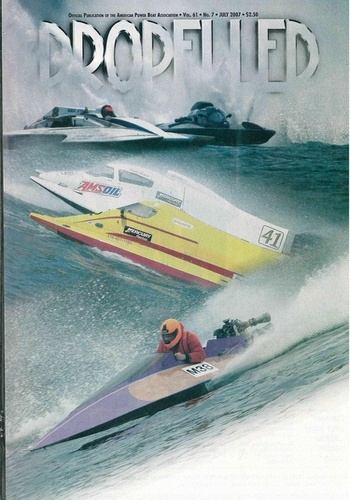 The APBA encourages fast, fair racing in a number of categories from small kneeldown runabouts and hydroplanes to giant Unlimited hydroplanes and Offshore boats.